SEE BELOW FOR SOME GREAT BARGAINS........all to be cleared before Xmas....do not hold back, make an offer on info@traxxcp.com.au or call........... 1300 109 108. HUSQVARNA PG530 single phase grinder. 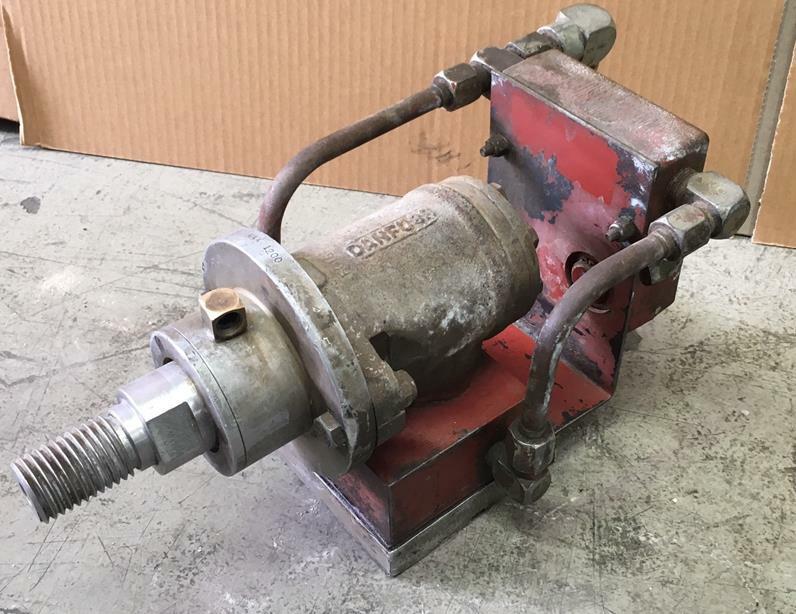 Dimas/Danfoss variable speed Hydraulic drill motor. 32" Robin powered trowelling machine. 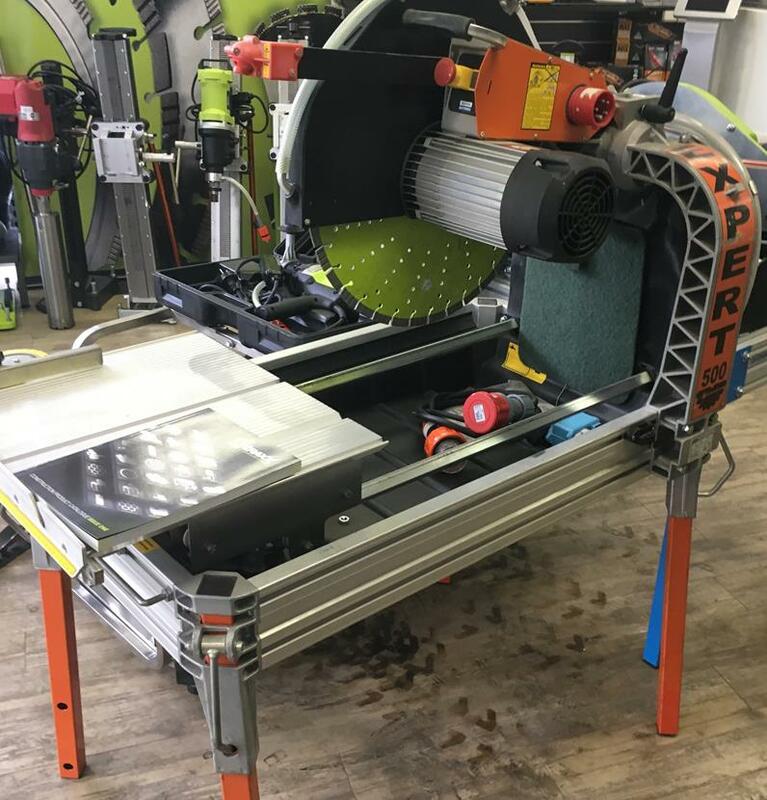 EXPERT 20" (500mm) 3 phase blocksaw. Needs a cuddle but in great working order. Minimal hours. 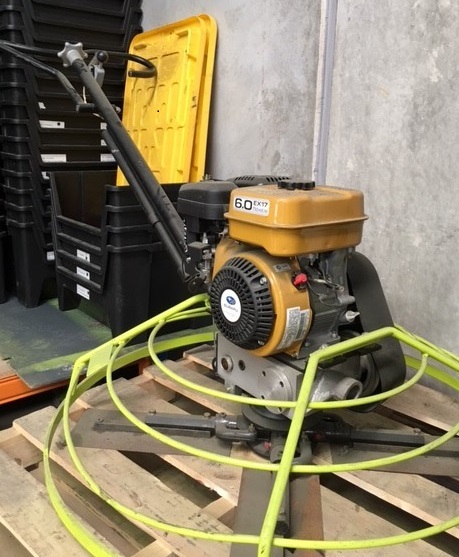 PG 530 is a single phase concrete floor grinder with a grinding width of 530 mm means it is excellent for residential and light commercial purposes. PG 530 combines the latest technology to deliver more power and performance than any other triple head planetary machine available in its class. Excellent choice for concrete floor preparation and repair as well as all polishing and grinding applications – both wet and dry. Perfect for HiPERFLOOR® concrete floor polishing system. THIS UNIT IS PRICED for immediate sale at $5000+gst O.N.O. 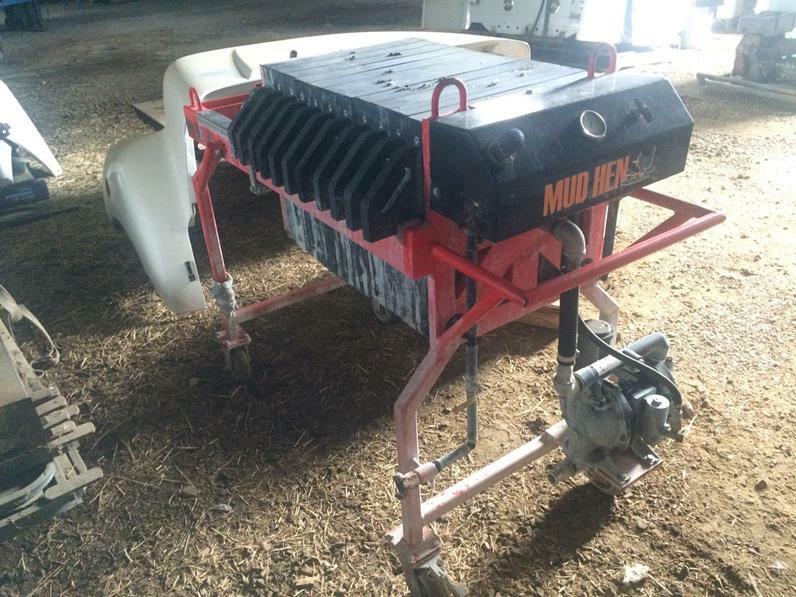 This MUDHEN 2 id the most sought after model. In need of a clean, but only used for 11 hrs. Turns your concrete slurry into clean water and hard solids. Click on the image to see the video of this units little brother in action. OWNER WILL SELL FOR $9900+gst, just 1/3rd of its replacement cost. and, it has 12 months warranty. Comes complete with all hoses, guards (1000mm and flushcut) and spare pulley rubbers. 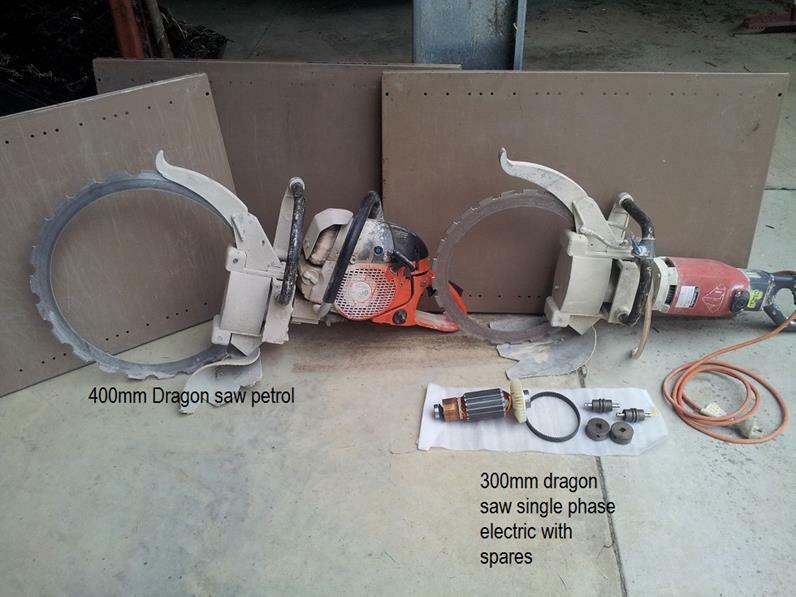 Power pack has approx 60 hours and wire saw 30 hours only. 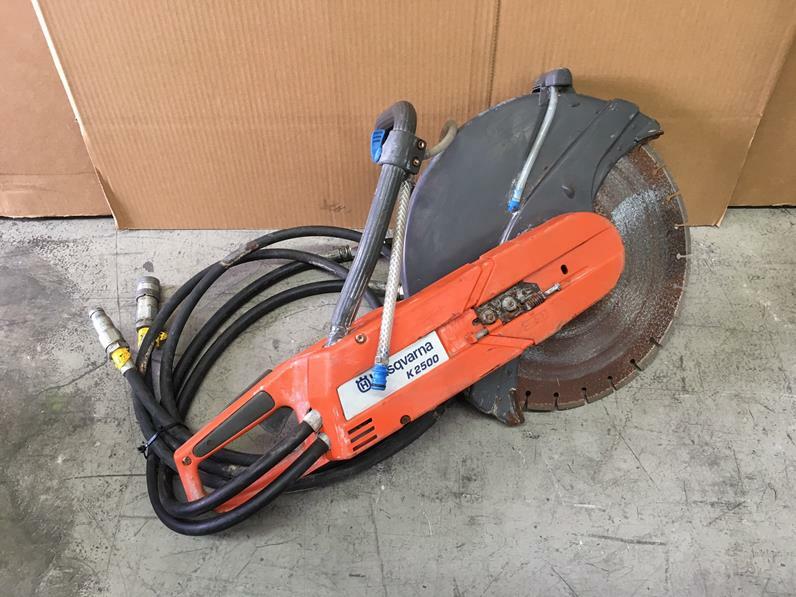 Husqvarna K2500 16" hydraulic saw. Complete with 15% used Pro handsaw blade. 16" Petrol and 12" electric PLUS $2000 of spares. Offers accepted. call 1300 109 108. 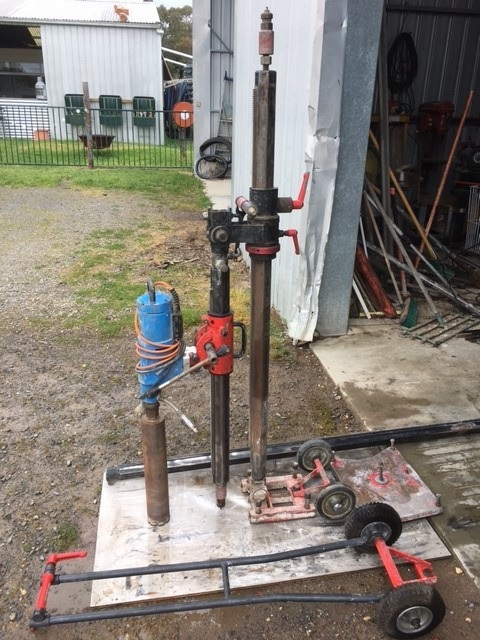 The original HRA Gyro drill stand comes complete with Hydrostress (Weka) DK32 3 speed motor, 900, 1500 & 2000mm columns, cross column adaptor, rear brace with wheels and vac pad. 32" x 6HP Robin/Subaru power trowelling machine. SAVE 50% on new price. SELLING FOR $19990+gst. With 6 months warranty. 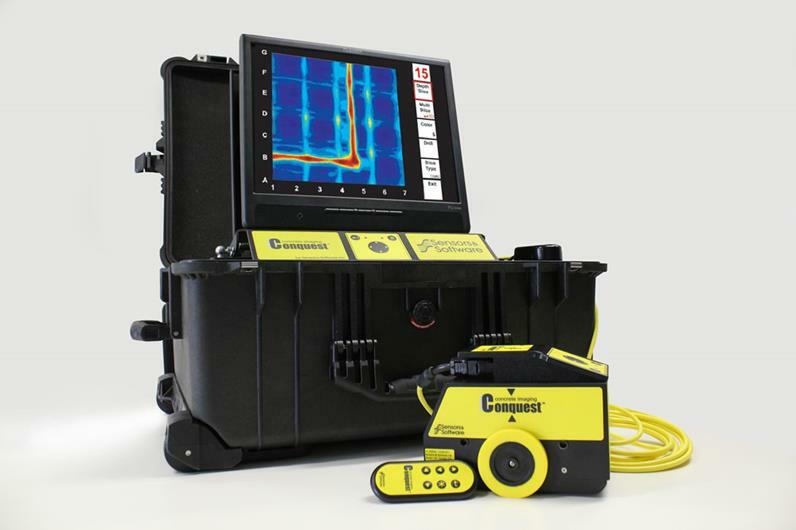 Designed for non-destructive inspection of concrete, Conquest uses radio waves and electromagnetic signals to detect structures in concrete. Results are provided on site, in real time. • Simple, powerful embedded software • Advanced signal processing • Self-Calibration • Extensive self-training available • Single axle sensor wheel optimized for smooth and rough surfaces. THE GPR thats made for teh sawing and drilling industry. 2 to clear at $899+gst. 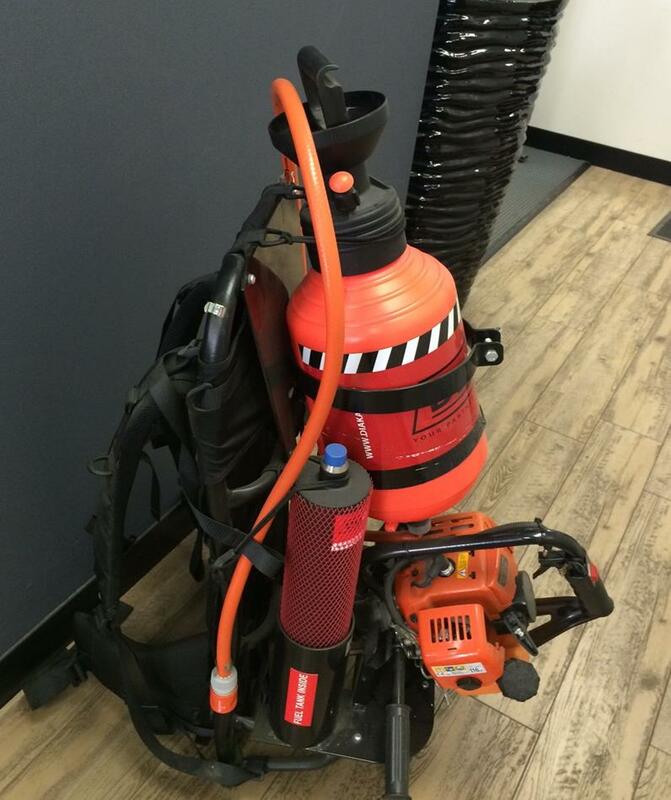 Comes with all hoses and tools. Suits all small grinders and saws. 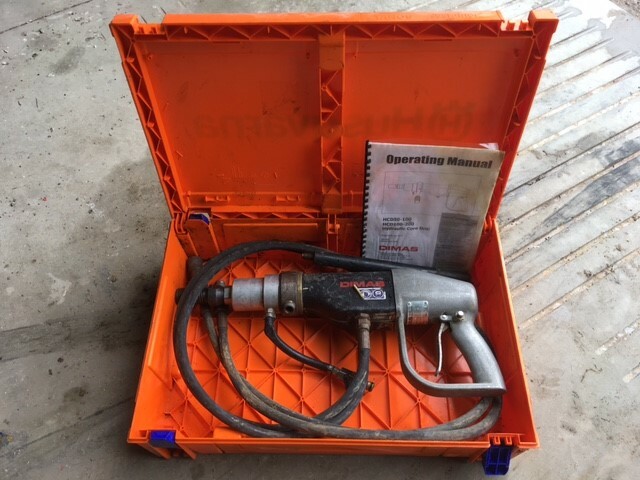 Hand Held Hydraulic Drill motor. Connects to all common power packs. Comes complete with 20" blade, laser, pump. This unit is NEW. $999+gst.